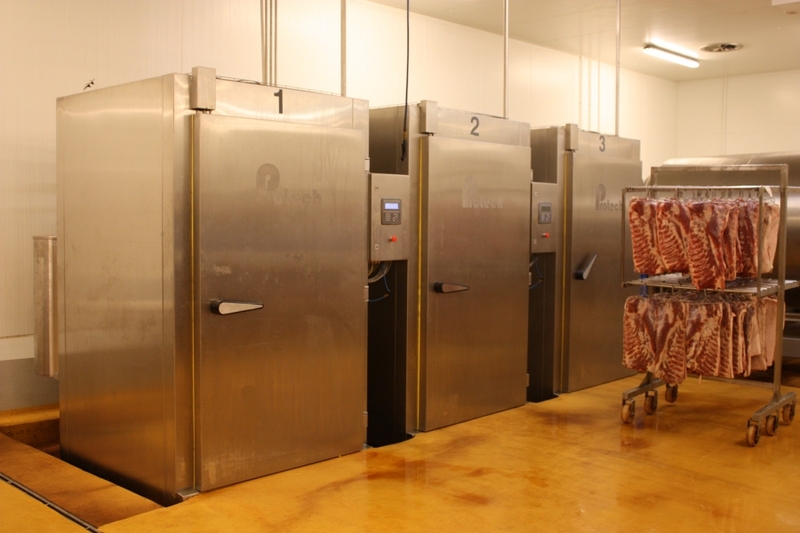 Speedsmoke is a new system used in the hot smoking processes of fish, poultry, and cured meats and provisions. By using the drenching technique many products get processed in only half the time.r. Speedsmoke is an external cabinet, big as a 1-trolley smoking cabinet, into which a carriage of products is placed. Then the carriage gets showered with re-circulated smoke condenser for 30-120 seconds. 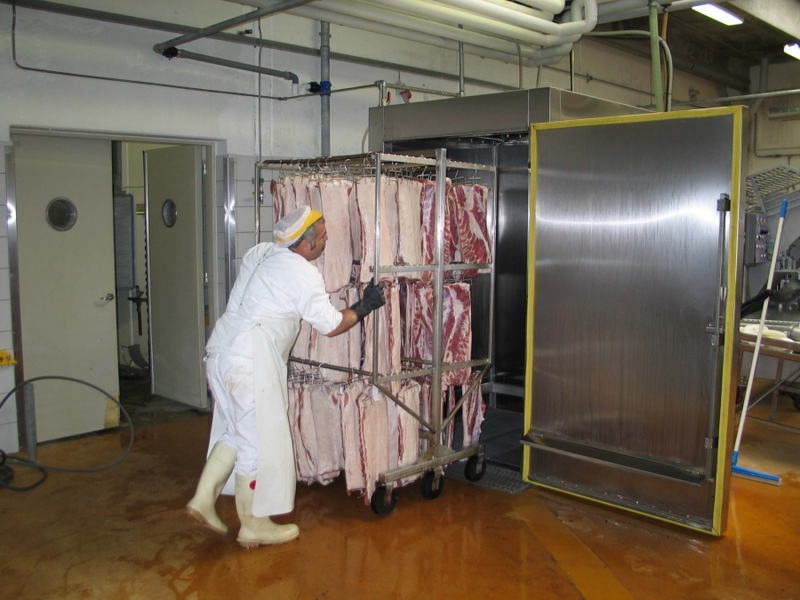 The carriage then moves over to the existing smoking cabinet where the products are heat processed. A Speedsmoke has a capacity of 5-10 tons per hour depending on type of product. The shortened processing time means reduced energy consumption. Since no smoking takes place in the actual smoking cabinet, the need of cleaning is minimized. This saves both environment and equipment. With the Speedsmoke technique our customers get a steadier product quality and a reduced wastage. With a Speedsmoke the environment is saved as the wastes are minimized. Download product facts about Speedsmoke.